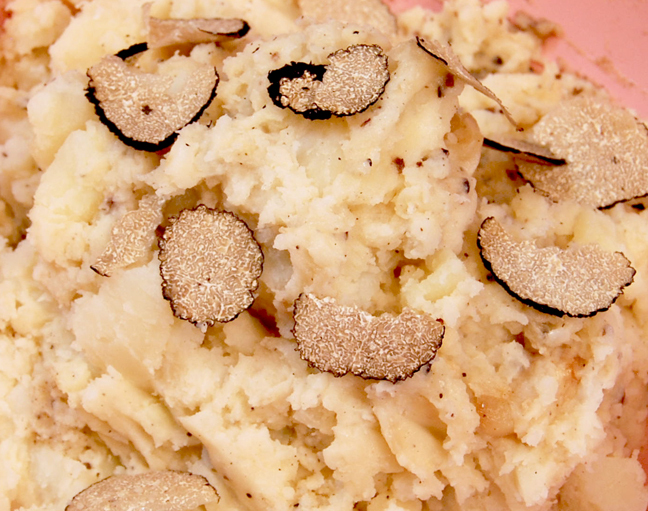 Here’s a super easy recipe to add to your holiday repertoire – Garlicky Truffle Butter Mashed Potatoes. Last week we gave you the recipe for garlic confit, an indispensable French pantry staple, and talked about the importance of truffle butter. Now we’re bringing it all together in an easy yet impressive recipe. If you’re feeling “extra rich,” as Ariane likes to say, add a flurry of paper thin slices of fresh white truffle upon serving, and watch your guests’ jaws drop.